By Gaurav Sood on 08/25/14 • Leave a comment! Natural sound amplifiers for iPhone are a dime a dozen, each with different style and audio performance. 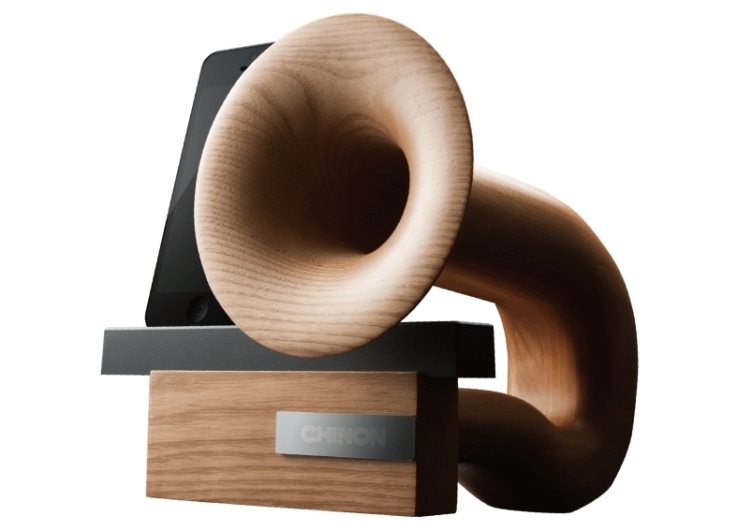 To offer audiophiles an intimate listening experience from an esthetically appealing horn passive speaker, Chino has launched the Legato iPhone dock. 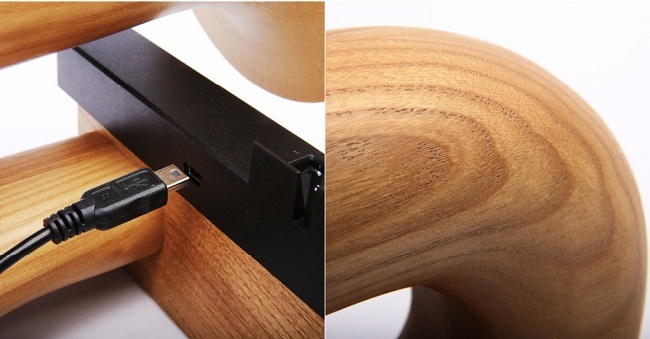 A truly elegant accessory for your home, the Legato passive speaker is compatible with iPhone 4 and upwards and is sculpted to deliver acoustic perfection without the use of electricity. Handmade from ash hardwood, the Legato passive speaker starts playing melodious sounds as soon as the iPhone is docked next to its horn and music is played through it. The iPhone speaker can amplify the sound to up to 6 decibels by allowing the sound waves to pass through its wooden horn most organically. 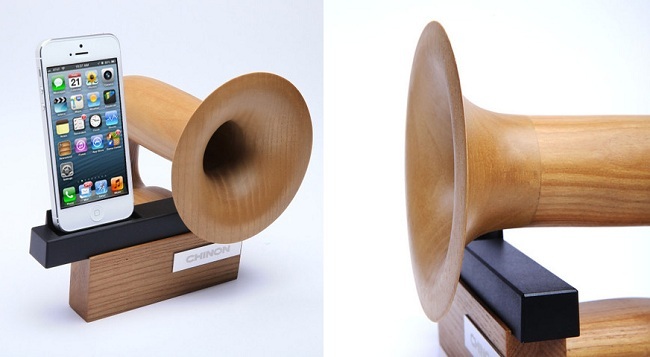 Measuring 20 x 17 x 20cm, the Chino Legato passive horn speaker weighs only 400g and is available with a 1.5 meter USB cable. The Passive speaker dock for iPhone is retailing for $249. By Gaurav Sood on 08/19/14 • Leave a comment! We have come a long way since the 3Doodler – the 3D printing pen, surprised the world by raising over $2 million on Kickstarter. One thing that has changed for good since then is that some of the most incredible works of 3D art have been designed using the 3Doodler. 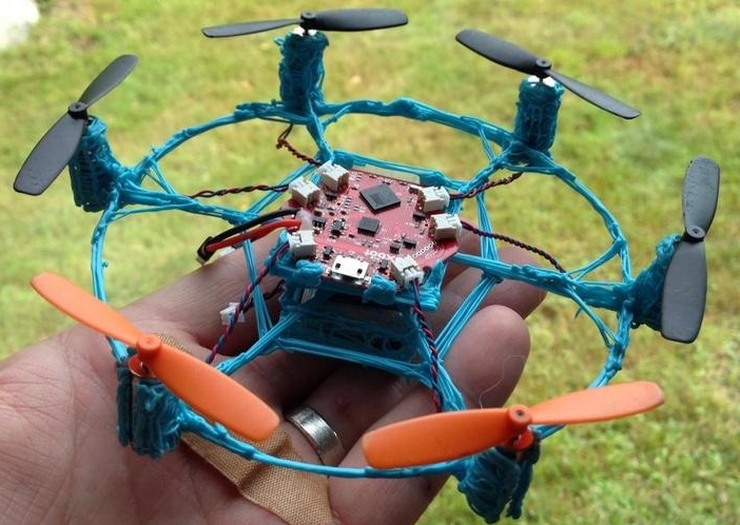 Case in point is this 3D printed flying hexacopter drone made entirely with the 3Doodler. Created by Louis DeRosa of Plasticity Productions, the 3Doodler printed hexacopter can actually fly like an efficient drone. Except for the motor, motherboard and battery, everything on DeRosa’s drone is made from 3D printing. Like many 3D creators would affirm, working with the 3Doodler is just like working with the pen on paper, but it wasn’t as simple for DeRosa. 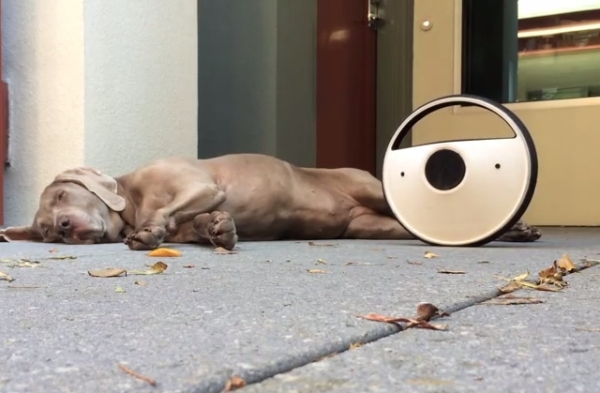 The first version of the drone he conceived had some design flaws and proved to be a little off balance. If you’ve built your own drones, or have used a hexacopter like this, you’d know – complete balance is key to a hexacopter’s consistent flight. Working more cautiously on the things he’d done incorrectly, DeRosa created the second version as a 6-winged flying drone. 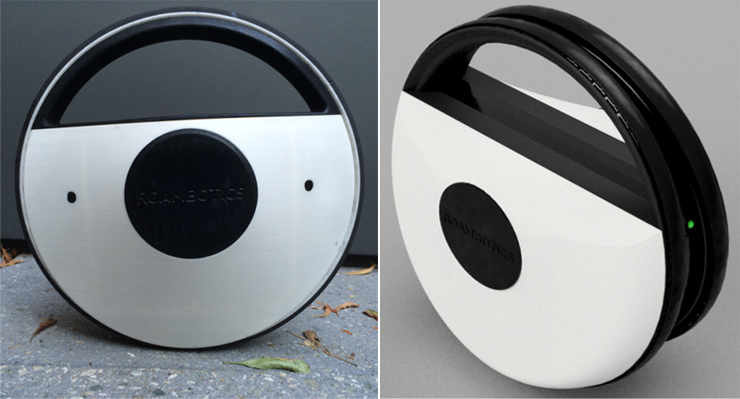 It took DeRosa a few hours to work upon the first version and arrive at a fully tested second and final version. If you are obsessed with Star Wars, then you are most definitely going to like any DIY project that aims at replicating one of the many unique props used in this epic super-galactic saga. Baran von Brunk, who is an avid DIYer, has built an Electronic Lego gun, emulating Han Solo’s weapon and named it ‘The Electronic LEGO DL-44 Blaster (Light & Sound)’. 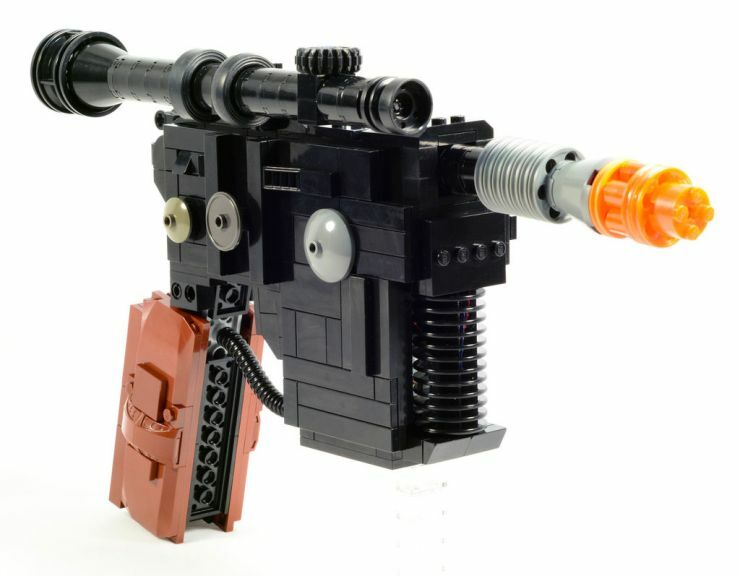 Made completely from Lego bricks, this electronic gun has an Arduino board to control all the fancy electronic and sound effects that set forth once you pull the trigger. By Gaurav Sood on 08/14/14 • Leave a comment! Wireless charging is becoming really popular, especially because of the growing market for wearables. To meet this demand, Fonesalesman has been offering wireless charging accessories for quite some time now, but in order to up the ante, it has launched the QiStone+. A one-of-a-kind solution, the QiStone+ is truly wireless, i.e. it can charge and be charged wirelessly. The power bank is compatible with all standards for wireless charging, and can be used with all device that can charge with a Qi Charging Pad. The mere look of the QiStone+ appeals to the onlooker – it wears a unique stone texture and is designed in such a way that it fits really comfortably in the palm of your hand. Powered by a 4000mAh battery in the heart, the QiStone+ can charge any smartphone fully. While being used to charge a device wirelessly, the power bank can be attached to another gadget via USB. While there are many phones that are compatible with Qi Wireless Charging, but in case yours isn’t, Fonesalesman Wireless Receivers can let you phone act as one. QiStone+ is available for pre-order for $79.99 from Fonesalesman and Amazon. And comes with a 20% discount for customers who own a Fonesalesman product already. What is the maximum you’ll pay for a lipstick? 50, 70, 100 bucks, what? Well, that’s nothing if you want the latest from Givenchy’s Le Rouge lipstick collection. Only if you have $300 to spare, you can lay hands on the limited-edition Givenchy lipstick that comes in a case made of crocodile leather. Yes, Givenchy, reckoned for its exquisite packaging and presentation, has upped the cosmetics luxury ante with Le Rouge lipstick that’ll cost you more than your house rent (at a rather inexpensive locality). The limited-edition lipstick packed in a case made from 100 percent crocodile leather will come in Le Rouge shade 306, in addition to the Carmin Escarpin – a classic red shade. What makes this most expensive lip color worth the price tag? Givenchy will only produce 3,000 of these lipsticsks and each of them will be made available in numbered gift boxes to ensure rarity. At a staggering $300, the Givenchy lipstick will debut in Barneys sometime in October this year. Bacon Week 2014 – International Bacon Film Festival 2014 is just a couple of weeks away and everyone will be looking forward to the “Driven by Bacon” documentary. This documentary is about a diesel motorcycle that runs on bacon grease fuel. Austin-based Hormel came up with the idea of powering a motorcycle dubbed Hormel Black Label Bacon Motorcycle that runs on B-100 bio-diesel which is converted from bacon waste into bio-diesel by bio-Blend Fuels in Winsconsin. 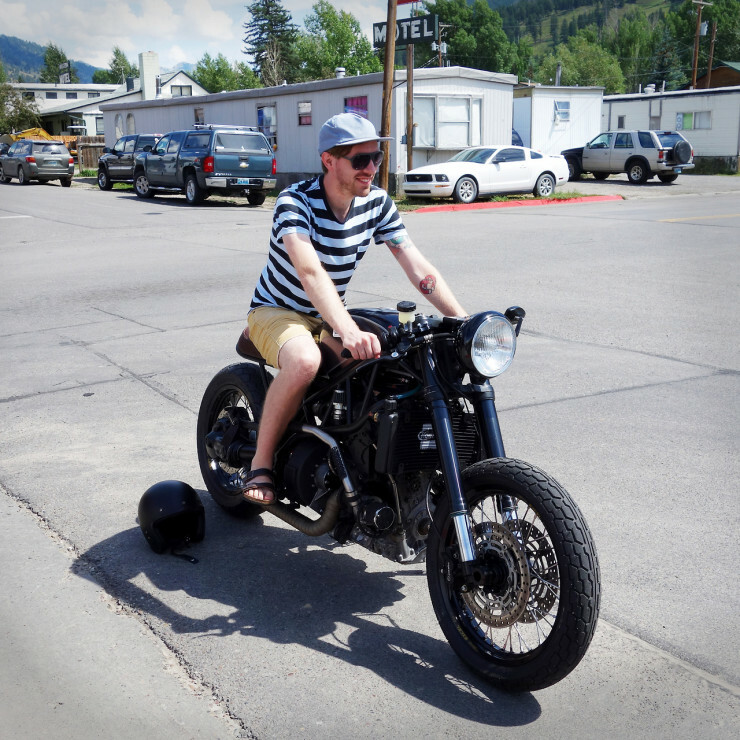 The bike fuel costs just $3.50 a gallon and makes the motorcycle run 75-100 miles per gallon. Now, that is quite impressive since the demand for bio-fuel is paramount. Watches from Swiss makers are extremely exquisite, but then watches coming out of Chinese manufacturers are more-or-less wearable art. 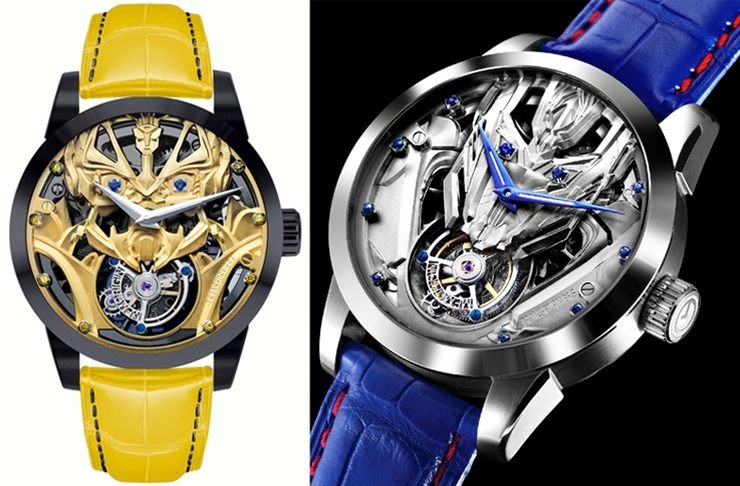 Case in point, limited edition Memorigin Transformers Tourbillon watches with Optimus Prime or Bumblebee. Coming from the house of Memorigin – a Hong Kong-based watchmaker, these mechanical watches with Transformer Optimus Prime or Bumblebee designs on their dial feature matching straps. Memorigin Transformers Tourbillon watches are available in 43mm wide steel dials. The Optimus Prime watch comes in polished dial, while the Bumblebee model is coated in black. If you like your watch façade to look perfect, you’ll be glad to know that dial plate of the watches is laser cut to look like the face of your favorite transformer character. Interestingly, yellow diamonds and blue sapphires have been used in the eyes of the Bumblebee or Optimus Prime respectively. These gems are also placed on a few hour markers on the case. 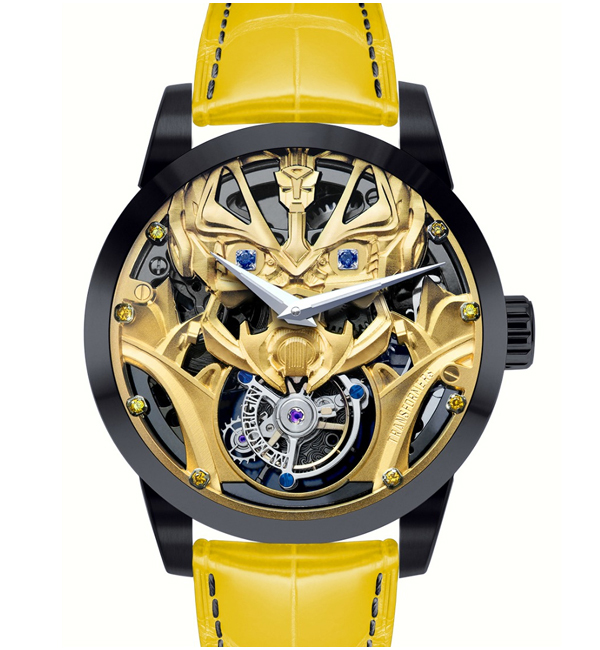 In the Memorigin Transformers Tourbillon Series, comprising Optimus Prime or Bumblebee themed watches, Memorigin will only produce 50 pieces each at $42,800 HKD, (approximately USD$5,500). Movie characters on your watch dial might seem a little odd, but if you find transformers cool, here’s a souvenir you can’t miss. Whether you’re a biologist or a student who cannot afford a microscope, and yet want to explore the nature around you to its minutest form, then spare a thought for this $10 DIY microscope conjured up by students at Missouri University of Science and Technology. Using trinkets and hardware supplies worth just $10 and a smartphone, students are building the microscope as project for their biology lab. 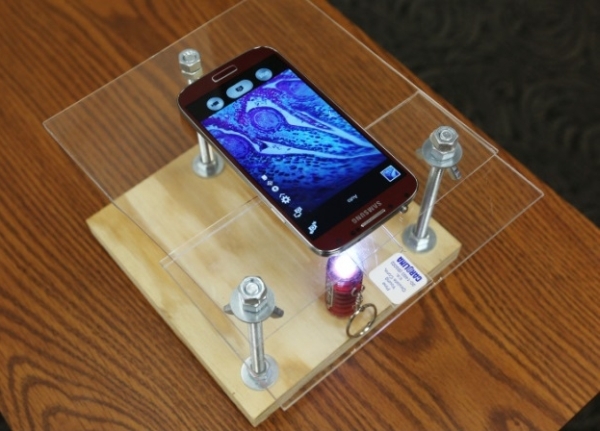 Using things like nuts, wing nuts, carriage bolts, plywood, washers, LED lights, keychain flashlight for the stand and laser pointer lenses and a smartphone for magnification, this DIY microscope is capable of operating in actual laboratory settings. The powerful digital microscope, with magnification levels of up to 175 times (with single laser pointer lens) and up to 400 times (by stacking up two lenses), will serve as a how-to manual for other institutes (for developing such a microscope). Students working on the DIY microscope are enrolled in two bio sciences courses with an associate teaching professor, Terry Wilson.